“Behold, how good and how pleasant it is for brothers to dwell together in unity” (Psalm 133:1). 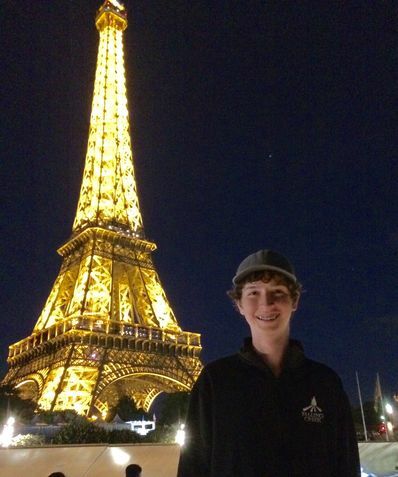 Camper Steven in his Falling Creek fleece in front of the Eiffel Tower. Please call or email anytime. I’d be happy to answer questions you have about Falling Creek. Reach me at 828.230.1386. No question is too small when making a decision to send your child to camp. Give me a call and we will talk parent to parent. Reach me at 828.230.0985.